Happy Pancake Day everyone! What are you giving up for lent? I’ve never been particularly good at giving things up for lent. My philosophy regarding food is everything in moderation, and so giving up chocolate, biscuits or wine would be against everything I stand for unfortunately. I thought about giving up Netflix – but then how would we spend our hungover Sundays? Giving up pavement rage would never work either (I don’t drive, so my commuter rage is focussed on people who walk slowly and cars that don’t stop to let me cross the road), because there are too many anger inducing sights every morning. 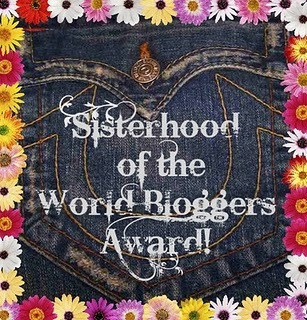 So, I’m making a promise to myself – I will post on the blog at least 6 times a week throughout lent. If you notice me slacking, shout at me! Anyway, back to pancake day. I decided that seeing as pancakes are so delicious you have to eat more than one, why not fill them with something healthy? 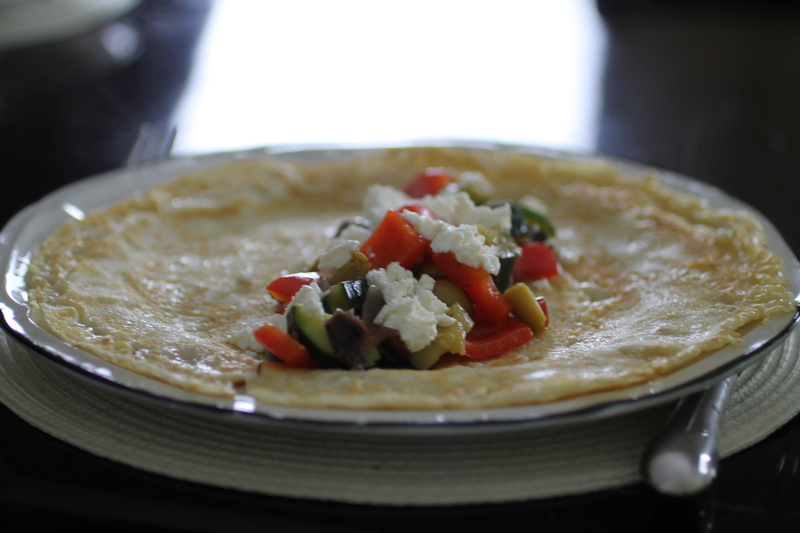 These savoury pancakes filled with fresh Mediterranean veggies and lovely, melty goats cheese have enough healthy ingredients to counterbalance the fact you want to eat eight of them (don’t quote me on that). This recipe will make 6 pancakes, and will take approximately 20 minutes. 1. Pour the flour, milk and egg into a bowl and whisk together until smooth. Leave to one side. 2. Chop the onion and add to a pan with 1 tbsp of the olive oil. Cook over a medium heat for 3-4 minutes, then add the chopped courgette, red pepper and olives. Cook for a further 10 minutes, stirring often, until the veggies are soft. 3. Heat the rest of the oil in a frying pan over a high heat. When the oil is hot, add a ladleful of the pancake batter and move the pan around to form an even layer over the base. Cook for 2-3 minutes until golden underneath, then flip and cook for another 1-2 minutes. Remove from the pan, add another ladleful of batter and repeat until you have made all of your pancakes. You may need to add more oil. 4. 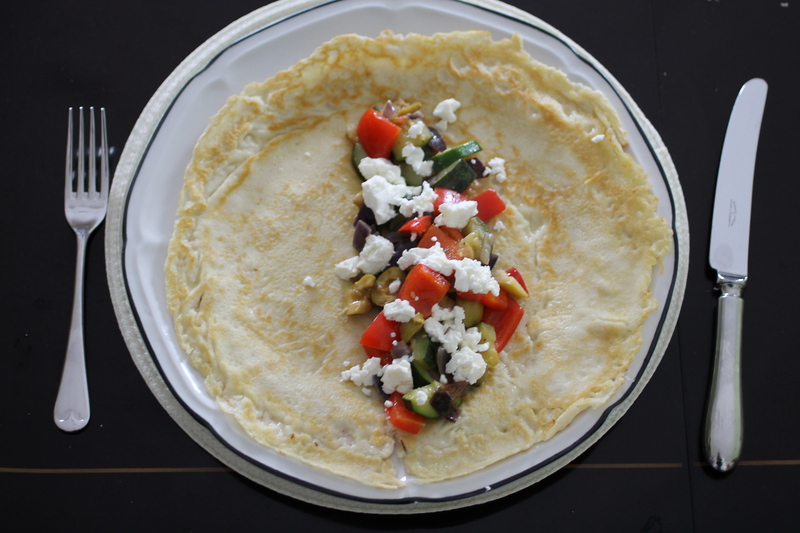 To serve, pile a spoonful of the veg into the centre of each pancake, crumble over some goats cheese and roll up. Enjoy! These look so delicious. I’d love to make and serve with an over easy egg on top. Yum! Thanks Jen – an egg on top would be delicious! I love the idea of *doing* rather than *giving up* for Lent, especially if the *doing* helps others. Go for it! Yum! Would love to try it. I would replace goat cheese with feta since I like it better in mediterranean dishes! It was a toss up between goats cheese and feta when I was making the dish! I went for goats cheese as I use it less often, but feta would be wonderful too.